(CBS) - Normally when a black cat encounters a barn owl, one would expect the barn owl to wind up dinner or gone (if the owl is lucky). 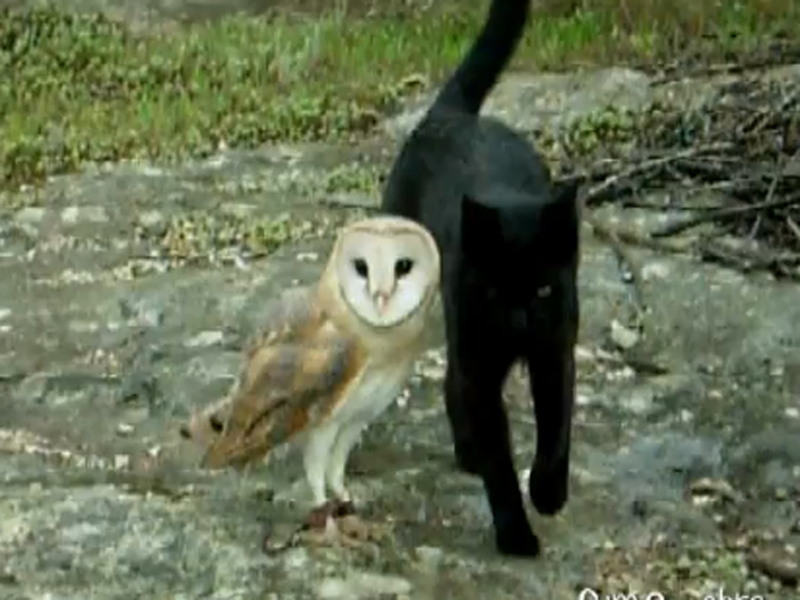 But like all things in nature there are sometimes special exceptions, and this video is definitely one of them - for your viewing pleasure, a video of black cat and barn owl playing together. "This bird of prey [flies] far away but lands everytime near Fum, its faithful friend." Awwwwww... can you say adorable overload!